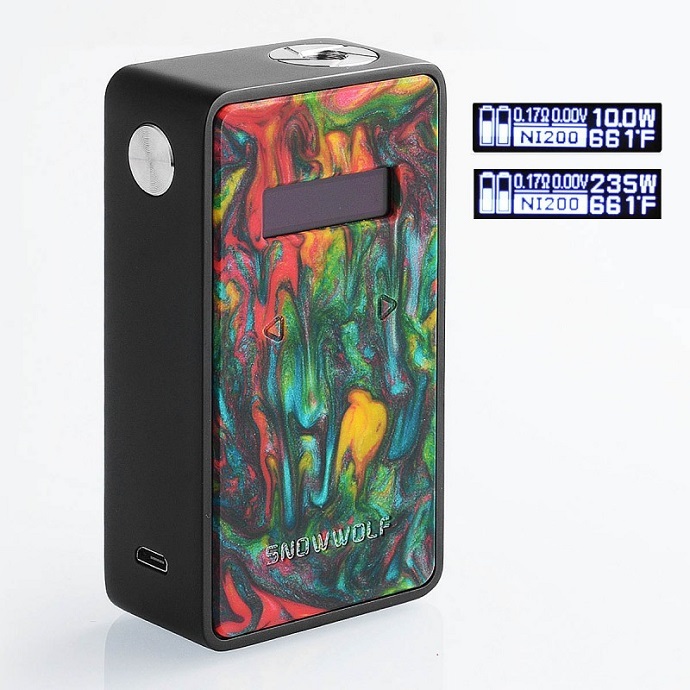 Sigelei SnowWolf 200W R Mod, is powered by dual 18650 batteries, which could fire a maximum output power of 235W. The smooth Up and Down buttons design may take special experience to somkers. 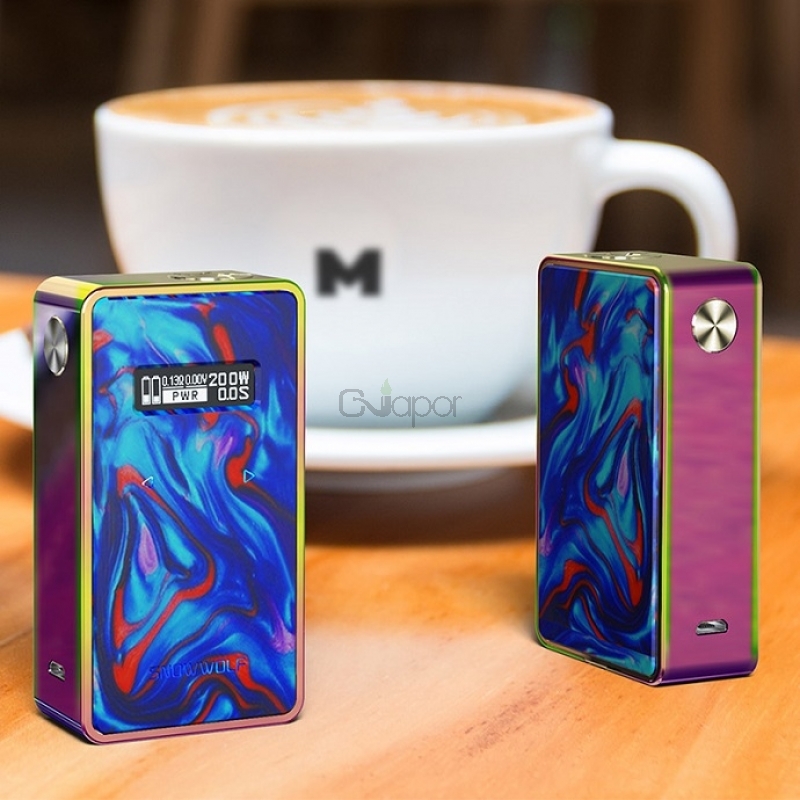 The unique color indeed make the vaping obvious and cool. The OLED screen could help to operate easily and clearly. 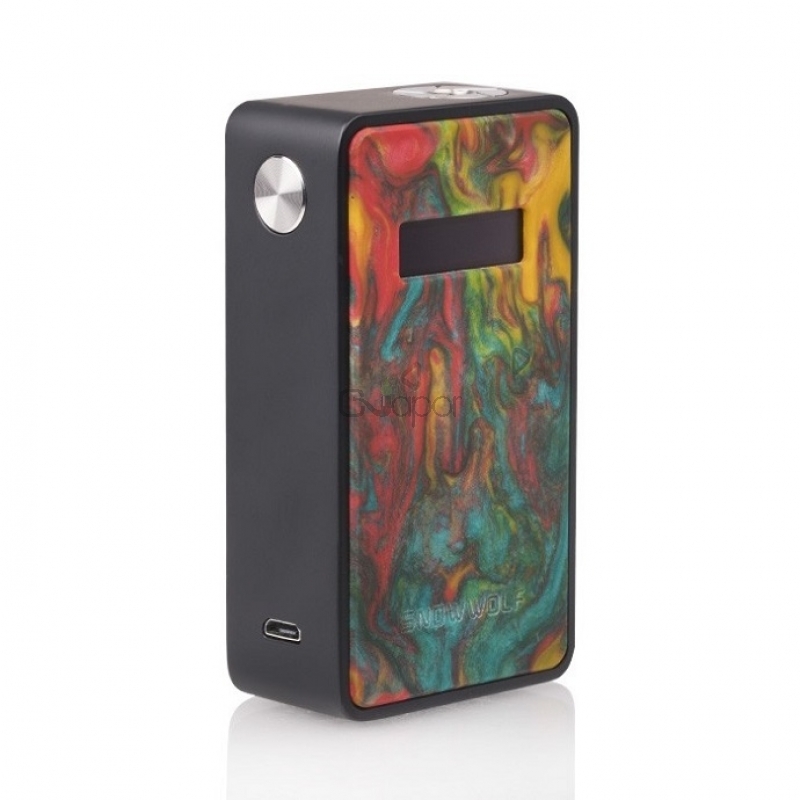 The SNOWWOLF R mod supports VW/TC(Ni/Ti/SS)/TCR mods- to satisfy your different vaping requirement.